Farming Blueprint is a web-based tool for sustainable soil economics™ to show the user the true step toward sustainability. 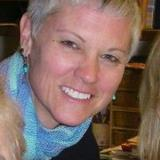 Teresa will be the primary contact for consulting, education, speaking engagements, and written materials. Nancy will guide business strategy for potential funding and organizational management and review our financial projections. Mary will update us on university trends and manage our financials. Gary & Hursch-Blackwell will provide legal services. Julian will help with data entry, field work & build our contact list for marketing. Teresa Morris has over 15 yrs experience in agriculture. She has extensive knowledge in soils, agriculture and small farm operations. She is currently working toward her PhD in Higher Education with a concentration in Curriculum Development in sustainable agriculture. Mary Claire has over 15 yrs. experience working in the university setting. She worked with McGraw Hill for several years in administration and currently works for Webster University as an administrative assistant to the chair of the Counseling Department. Her knowledge in organization and management skills is valuable for our company and her attention to detail is excellent. Mary also has great skills in financial management. Nancy is President of her own company, focusforyourbusiness.com, and has been consulting and working in business sectors for close to twenty years. She has an extensive background in startup companies and is well known in the St. Louis area for her expertise and knowledge in the logistics of business success.